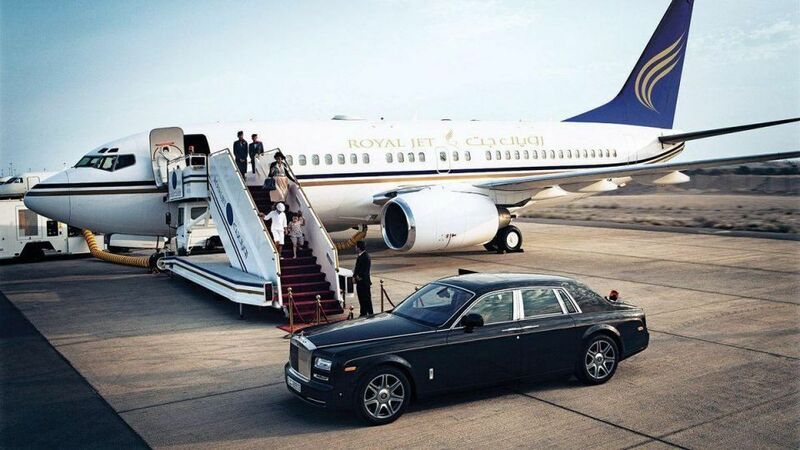 There is nothing quite as luxurious as a private jet. Sumptuous comfort and privacy alongside outstanding service, fine dining and fully functional rooms; there is a private jet designed to suit any need and request. Whether you’re taking a private jet as part of an important business trip, a luxury holiday or as a regular part of your commute, this is first-class service to the extreme. But of course, you need to be able to get to the airport to board your chartered flight and for that element of the journey you do not want to be waiting or a taxi or relying on public transport. This is where we can help, Starr Luxury Cars can provide you with the most luxurious form of transport to get you to and from the airport on time, feeling fresh, relaxed and ready to begin the next part of your journey. Hire an executive chauffeur to drive you in the prestige rental car of your choice and find yourself surrounded by one of the finest and most comfortable interiors in the premium car market. We have the largest fleet of executive hire cars in the UK, including marques such as Rolls-Royce, Bentley, Mercedes and BMW, ready and waiting to provide you with excellent service at a price that you’ll love. Similar to a private jet, the Rolls-Royce Phantom is one of our most luxurious modes of transport, available for hire. Your personal chauffeur deal with all your luggage for you as soon as you meet, allowing you to get comfortable and adjusted to your luxe surroundings. Amongst several attractive features, the Rolls-Royce Phantom offers a passenger experience which has been compared to floating on a cloud. You can sit back and relax surrounded by the finest upholstery and interior design as well as many settings and features which allow you to have total control over your personal climate and space, ensuring a thoroughly enjoyable journey. Another stunning feature of the beautiful Phantom hire car is the ceiling of thousands of tiny LED lights, representing the night sky and creating a formidable atmosphere. This really is the closest you will get to experiencing a private jet journey before you’ve made it into the air. Fast, comfortable and generously spacious, the Range Rover Vogue is another excellent choice for luxury airport transfers. Up to four passengers can enjoy the ride with plenty of storage space for vast amounts of luggage. Spend your free time as you wish, taking advantage of the free wifi and amenities, enjoying the company of your fellow passengers or relaxing with a bottle of champagne, which can be added at your request. 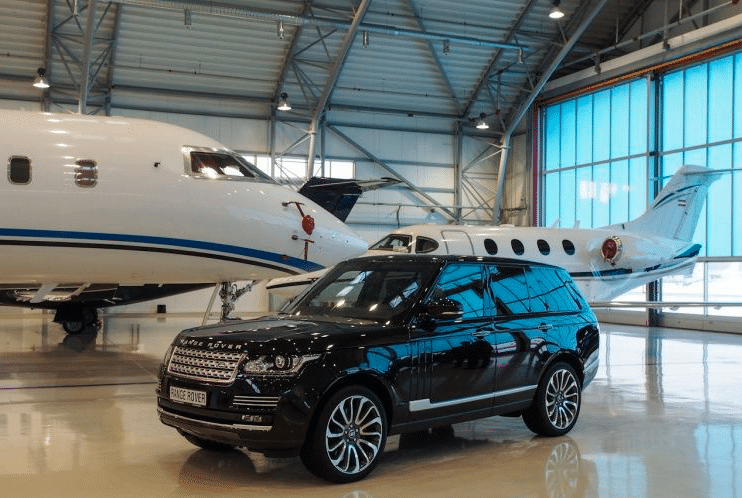 The Range Rover Vogue hire car is an excellent choice for a family or small group needing to get to the airport to board a private jet, offering one of the safest, fastest and smoothest journeys of all our luxury cars for hire. You will receive fantastic service as one of our clients, but for an extra special occasion you may like to add on our luxury airport hostess service, making sure you’re taken care of right up until the moment you board your flight. If you’ve chartered a flight for a large group, be it for business or leisure, we’ve got you covered. As well as the traditional five-seater luxury cars, we have plenty of choice for groups of up to six. In the Mercedes V-Class hire car you can be sure to experience luxury leather seating, a clean, spacious and ambient atmosphere as well as ample storage space, helping you to arrive at the airport prepared for the next leg of your journey. 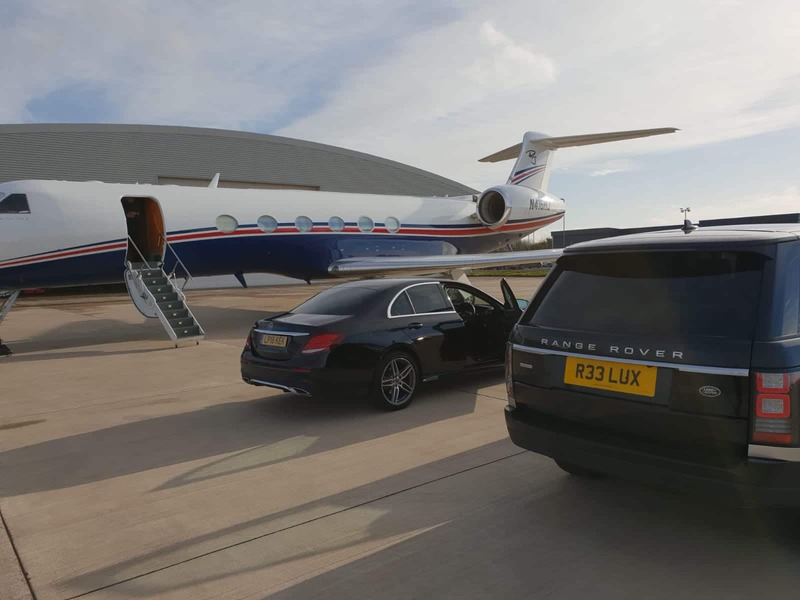 Our team of dedicated private chauffeurs can drop to and collect from the private terminals of any airport in the UK, including London City, Gatwick, Stanstead, Heathrow and Biggin Hill. Both your premium hire car and your chauffeur will arrive looking well-presented and easy for you to locate, enabling a swift and smooth onward journey to any office, hotel or home address in the UK.